Hello all! 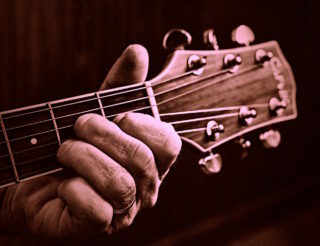 It seems only proper this week to bring up the blues within the context of learning guitar. Firstly because it’s a logical starting point to further develop your skills. As a budding guitarist it’s also both important and enriching to pay homage to how the art of guitar playing came into being. The sad fact is that the blues has endured a slow decline in mainstream music ever since the sixties, despite intervallic spikes of interest with guitarists like Stevie Ray Vaughan, Eric Clapton and more recently, John Mayer. Its influence however, is everywhere. In fact, it was blues that birthed modern Western music and which underpins everything you’ve probably ever listened to. The beauty of learning blues guitar is that it’s extremely simple, almost primitively so. Start by learning that chugging 12-bar form with three typical blues guitar chords: E7, A7 and B7. It’s easy and you can power chord your way through it. This is real bread and butter stuff. 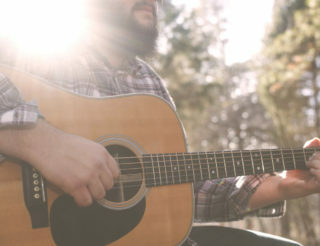 While pretty chordal songs are great to learn, there’s nothing quite like gritting your teeth and foot-stomping your way through a dirty blues guitar number. It’ll help you to anchor your rhythm by playing through a time-honored progression with distinctive sections. For lead guitarists, it’s a solid backdrop for you to paint pentatonic licks over. It also provides a lovely common denominator when you eventually meet other musicians, many of whom may have a totally different musical orientation. Metal-heads, Jazz wizards or sparse reggae players – everybody respects the blues and a spontaneous blues jam can bring musicians together in a way that few other things can. We recommend watching a video that outlines the chronology of blues starting with its genesis in the swampy Deep South to its electrification and eventual splintering off into the dozens of genres which form modern music. The documentary embedded below includes first hand accounts from several American blues musicians including the great B.B. King. Also worth a read is an in-depth article by Music Radar. 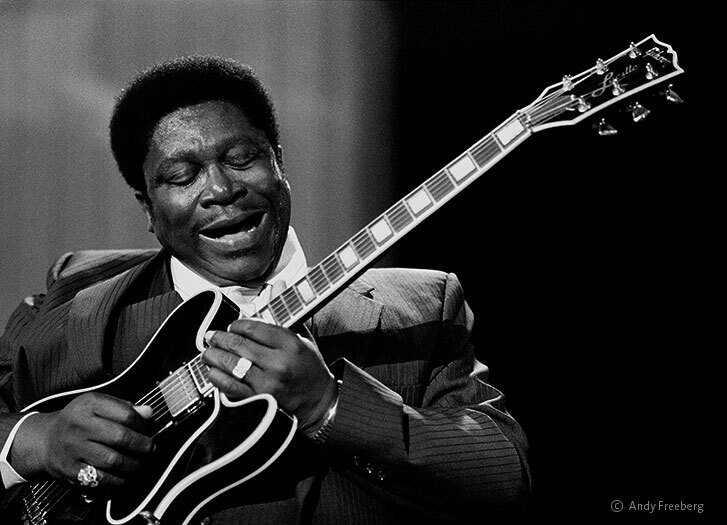 With the help of its readers, it ranked the top 30 blues guitarists of all time, which includes YouTube videos and recordings of each artist. 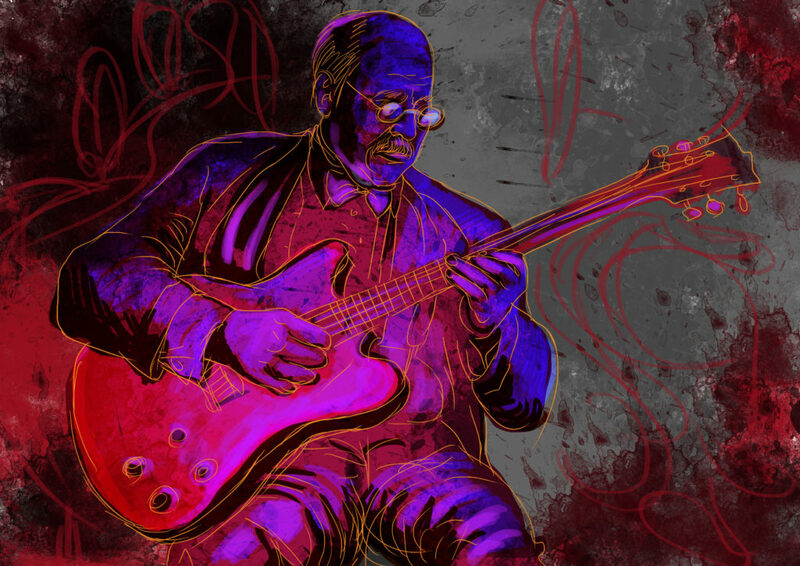 Another really good list you can check out by our friends at Midi Lifestyle is 20 best of the blues guitarists. 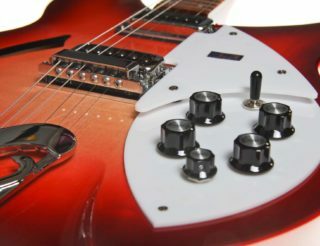 Both these articles provide a great mix of blues artists across the past decades and are very insightful for guitar beginners. Be sure to check out Clarence “Gatemouth” Brown, Muddy Waters and B.B. King. Some of the deep rooted blues may seem impenetrable. No-one will argue that scratchy delta recordings are difficult to hear and sound otherworldly compared with the music of today. It’s worth a listen though, if only fleetingly. It’s striking to notice how simple, modest blues single-note melodies evolved through the generations to become that jaw-dropping lick you recently heard on an album. A writer must read and a guitarist must listen. A little academic thought as to how guitar playing came into being can only be to your benefit. Finally, here’s a YouTube video with the great Marty Schwartz to get you started with learning blues guitar chords. Thank you so much. Anymore freebies, just send them my way. I let people on Active Melody.com know about your wonderful site. Keep up the good work guys.